Do you know who was Nostradamus? He was the biggest prophet that ever existed on this planet. In one of his most famous works, he made predictions for 1000 years ahead. 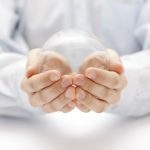 In this article, we will talk about Nostradamus predictions for 2019. Nostradamus died in 1566 and after his death many of his prophecies were concretized. Events like the French Revolution, the Great Fire of London, the First World War and the birth of Hitler and Nazism were the most striking. In his books he had also written about the death of President John F. Kennedy and Princess Diana. Unfortunately, he was right. Because of so many hits, experts still give much credit to Nostradamus predictions. For 2019, he had not very good news for mankind. And to make matters worse, many other prophets follow that same prophecy. What Nostradamus predicted was that the world would end in 2019. This piece of text reveals that possibly the Earth will be struck by a body coming from space, culminating in its destruction. And this is not such a remote possibility. Why should we believe in Nostradamus predictions? In 2002, NASA scientists detected a large asteroid coming ashore. They gave the name “2002 NT7” to the object that is 2 km wide. It may seem small compared to the size of the planet, but it would be enough to extinguish all living things with its impact. NASA keeps saying that the asteroid’s chance to hit Earth is too small. However, Nostradamus warned that astronomers would go wrong and no one would be prepared for it. In addition to the “new celestial body,” Nostradamus predictions were about an eclipse of the sun. And guess what when the next solar eclipse will be? The next and only solar eclipse of 2019 will take place on July 2. And the coincidences do not stop there. July 2 was also the date of the very Nostradamus death, which he also predicted. What do Mayan people say about it? The Maya were a very ancient people who always had a special relationship with the world. They formed a civilization replete with mysteries that even the best paleontologists and archaeologists could not discover. In addition, they have their own calendar. And it is this calendar that just ends in 2019. Historians analyzed Mayan texts and concluded that the Mayan people believed that the world would even end. The texts reported an inversion of poles. That is, the northern hemisphere would trade with the southern hemisphere. It may seem absurd to imagine, but if we think of the great impact that the asteroid would cause, it is no longer so absurd. Depending on the location of the impact, the asteroid would be able to affect the axis of the earth, turning it upside down. Such action would cause earthquakes, tsunamis, and all kinds of natural disasters, on a scale never before seen. We are to remember that “prophecy” has a different meaning of “destiny”. Seers tell their prophecies in order to warn that something is about to happen. They serve as a warning and inspiration for humanity to make decisions in order to avoid such events. So there is no reason to panic. Let’s think positive and hope that the experts will be able to apply actions that prevent this event. Nothing has yet been decided definitively.